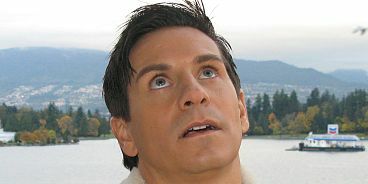 Entertainment Tonight Canada Host, Rick Campanelli, shares his favorite foods and the one Vancouver restaurant on his must-visit list. The food you would most often describe as, ‘to die for’? RC – I loved my Nonna’s lasagna. We could just keep eating and eating! I’ve move onto more ‘sophisticated foods’ now, like sushi. All the places here in Vancouver are amazing. RC – Miku is a great spot. The chef behind the bar makes an amazing dynamite roll, but it’s not on the menu. He just whipped it up on the spot. RC – Hot dogs and hamburgers! You know the ones at 7-Eleven that are sitting there rolling on the heaters? The food you refuse to eat? RC – I’ll eat anything in front of me. I even ate giblets and liver when my mom used to cook them up…like giblets. Who eats giblets? RC – Sushi. Also, a plate with barely anything on it and a bottle of wine. RC – Nonna’s stracciatella soup. My mom learned the recipe and now I’m trying to learn it. This interview was conducted for Vancouver View Magazine by contributing reporter and itstodiefor.ca founder, Erin Ireland.